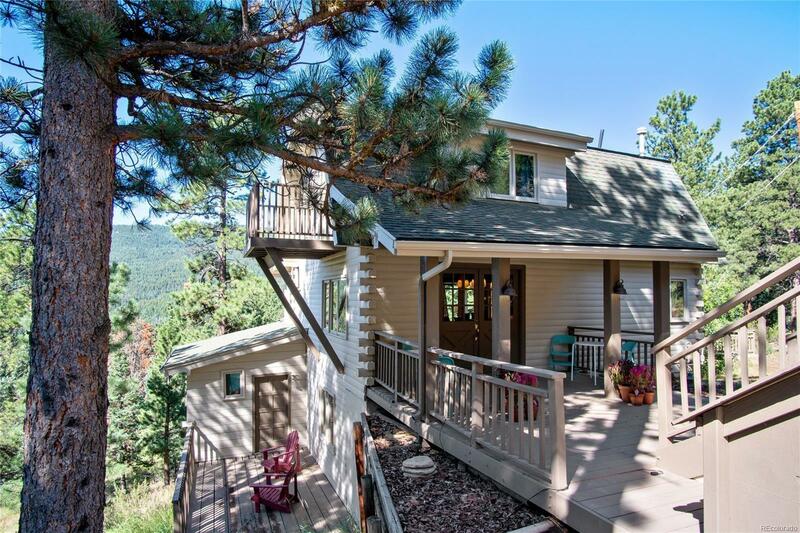 This lovely mountain home has an updated kitchen and bathrooms, plus gleaming wood floors and T&G ceilings. There is tons of granite kitchen counterspace, plus stainless steel appliances. Amazing views with all the privacy you could desire. Youâll also enjoy loads of outdoor space with several decks, a detached garage (plus carport), a garden shed, and a large workshop/studio with electricity & electric baseboard heat (measures about 12x20). The house has active solar panels to reduce your energy usage. Donât wait!